Till a year ago most purchases of all-in-ones were influenced by space constraints. Now, however, the all-in-one has become a complete PC. Arguably the best all-in-one around, the redesigned iMac is just 5mm thin at the edges. But it still packs a punch with 8GB of 1600 MHz memory, a 1TB hard drive, third generation quad-core Intel Core i5 or i7 processors and the latest NVIDIA GeForce graphics processors. There is a cheaper 21.5-inch version too. This is the iMac equivalent for Windows users. However, this does two things which the iMac can't. One, it has a 95-degree adjustable viewing angle and, two, it comes with a 10-point touchscreen. Buy the optional TV Tuner features and this 27-inch frameless display becomes a television. As the name suggests, this 23-inch AiO can become a complete entertainment hub by playing 3D content and also thanks to its superb Beats Audio. This one too can recline to a 60 degree angle so that you can exploit the touchscreen and the Magic canvas features. However, there is no Windows 8 version available. 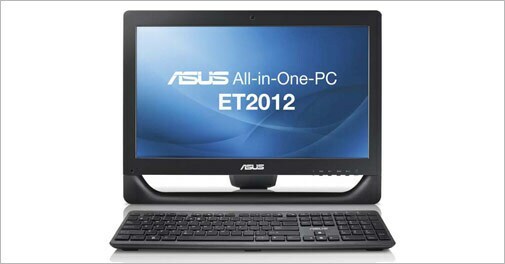 This new launch from Asus features the latest 3rd generation Intel Core processor and a 10-point touch screen on Windows 8 . The 21.5-inch FullHD LED-backlit display can be tilted to 45 degrees for optimal viewing. ASUS SonicMaster Technology delivers improved audio clarity, louder volumes and detail. This 23-inch AiO has a stunning FullHD screen and optional Blu-Ray optical drive and TV Tuner features that make it ideal for family entertainment. 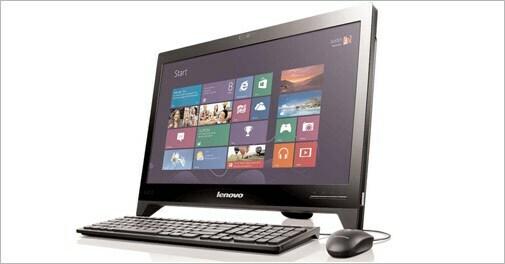 It also has the processing muscle for high-end computing tasks. The touchscreen is optional on this 23-inch display, and processing power too can be revved up to Intel Core i7 levels if you so desire. This and other features like the MaxxAudio make this a good buy for home users. Arguably the cheapest AiO in the market, the 18.5-inch C240 comes Celeron Dual Core processor with 2GB DDR3 RAM and 500 GB storage. The device will be available with Windows 8. Acer is relatively new in this segment and has launched a 21.5" LED LCD full HD widescreen with Dolby Home Theatre v4.0 technology. However, this device has an Intel Pentium Processor and Windows 8. Designed for Indian conditions this 21.5-inch HD LED AIO comes with an in-built battery that is good for 1.5 hours power back-up. The unit has a sleek design and an anti-glare backlit display. HCL has also packed in three-year McAfee anti-virus and an edutainment kit.